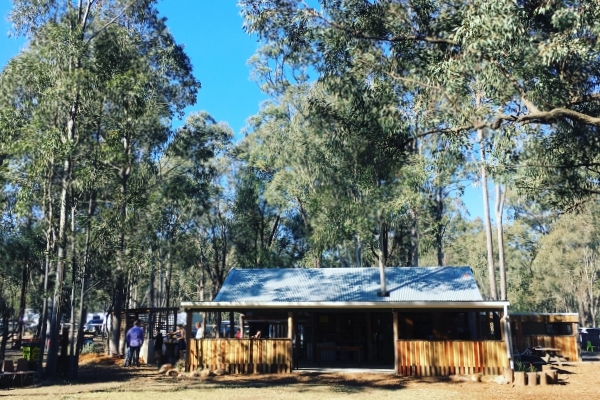 Dashville is a secluded, privately owned bushland venue and campground located at Belford in the Hunter Valley, NSW. Behind the beautiful serenity of the physical space, is a small group of hard working people, building things, making music and art, putting on shows for the joy and delight of themselves and so many others. The long running boutique music and art event The Gum Ball is the largest event at the site with around 3000 campers. The Gum Ball has been operating for 14 years in 2018, now achieving a sell out capacity crowd. A glorious achievement and it goes without saying that a monumental amount of blood sweat and tears has gone into establishing that event and the site over those formative years. 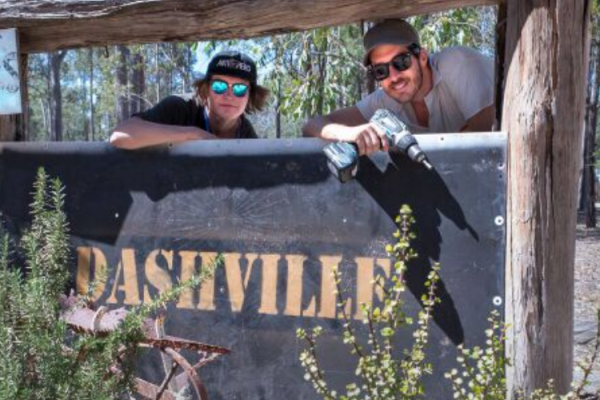 In 2018, the team behind Dashville curate 4 variable camping festivals and host a number of smaller events. In 2015, another 3 day music and culture festival was added. 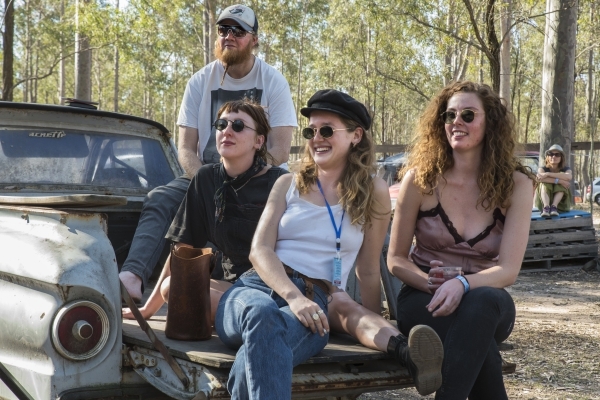 Dashville Skyline, known as the Cosmic Country Weekender, is held over the October long weekend and has loads of old school Americana, folk, alt country and psych rock styles. In the middle of the year we generally host PigSty In July, which is all about dressing up and chowing down on decedent food and booze. Just what the doctor ordered in those winter months. The most recent addition being Thrashville, a slightly heavier themed event, for lovers of punk, rock and metal, held in late January. Throughout the warmer months, Dashville hosts various one off events and camping weekends, generally inline with the summer vineyard concerts. If you haven't experienced any of these events, or would like to hear more, you be best to jump over to the events pages and sign up. You and your family won't regret it. Can I book Dashville for my private function? The first step is to send us an expression of interest via email. When emailing, be sure to list as much information as possible so we can ensure we'll be able to host your function. Keep in mind Dashville holds a variety of music festivals and other events, so to avoid disappointment, check out when our events are held and hopefully you can work your dates around ours. Dashville is a very relaxing place to host events both large & small. Based on the slow sustainable growth of these Dashville run events, various facilities have been afforded at the site, such as showers, underground power, shelters, toilets, bars, light towers, roads etc which now allow other events to happen much easier. There is also a 22ft wide x 5tf high skateboard ramp at the site. The camping scenario is all natural clean flat bush land, with well draining sandy loam soil. If you would like to consider Dashville as a venue for your next public or private function, then please feel free to fill out the venue hire form and we'll be in contact. Dashville is a family run operation, instead of farming or breeding livestock, the Johnston family excel at hosting events on their 100 acre family property. So if you plan on heading out to Dashville sometime, expect a friendly face & someone willing to help, give advice or assistance. Dashville has a large outdoor picnic spaces and various undercover areas. We also have 2 bar areas, a kitchen and BBQ area able to comfortably cater for 50-400 guests. The Dashville site is spacious, shady and secluded, with ample space to claim your own private camping area. Hot showers and flushing toilets make it quite comfortable for a function or camping weekend away.